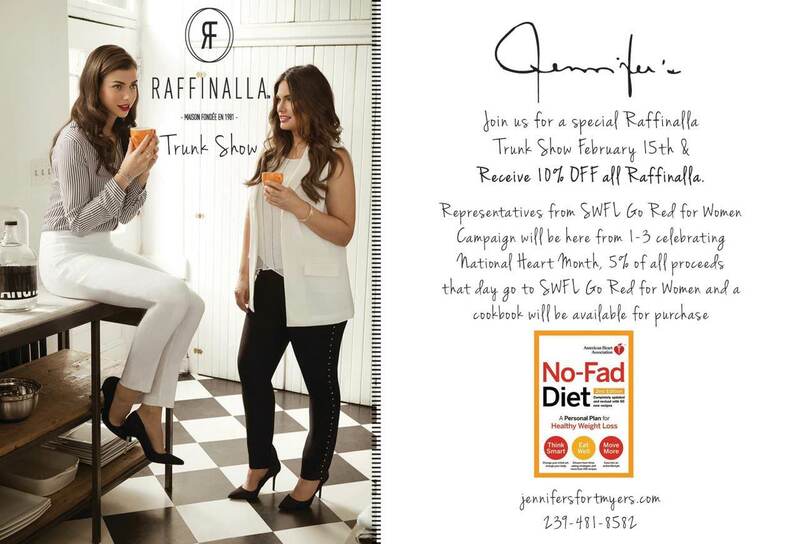 Jennifer’s women’s boutique is hosting a Raffinalla trunk show on Wednesday, February 15 from 10:00 a.m. until 6:00 p.m. Shoppers will have the opportunity to preview and purchase the latest styles from Raffinalla, whose reputation is based on impeccable workmanship and the finest fabrics, and will receive 10% off their Raffinalla purchase. Raffinalla’s Perfect Fit Pant is designed to make every woman feel her best looking one size smaller. The collection includes pants, shorts and capris, perfect for day or night. 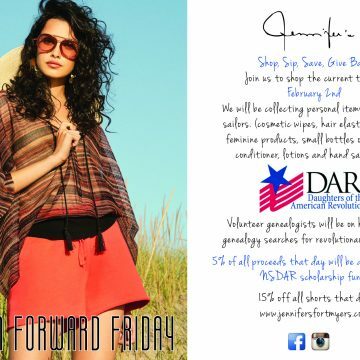 5% of the day’s sales will benefit the Southwest Florida Go Red for Women Campaign of the American Heart Association. Go Red for Women encourages awareness of the issue of women and heart disease, and also action to save more lives. It challenges women to know their risk for heart disease and take action to reduce their personal risk. It also gives them the tools they need to lead a heart healthy life. Shoppers will have the opportunity to purchase the American Heart Association’s book “No-Fad Diet: A Personal Plan for Healthy Weight Loss.” This is the first-ever comprehensive weight loss book by the nation’s most trusted authority on heart-healthy living. No-Fad Diet helps readers create a personalized plan to lose weight in a healthful way, with more than 190 delicious, all-new recipes, two weeks of sample menus, guidelines for meal planning, useful tips on dining out and food shopping, and sound advice for staying on track to reach target weight. Proceeds from book sales will benefit Go Red for Women. 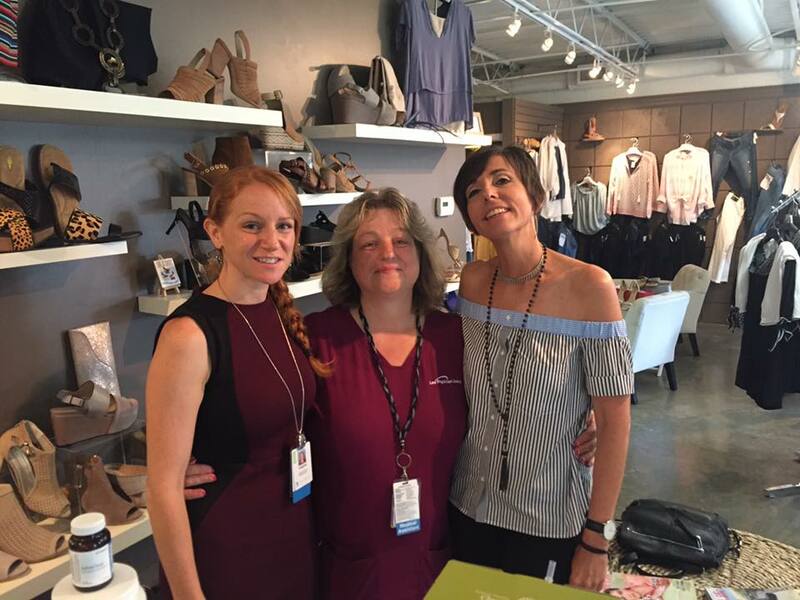 Jennifer Williams opened her Fort Myers boutique in November of 1983 on McGregor Boulevard at Cypress Square; the same location where it stands today. Her unique and timeless sense of style and personalized service has created a loyal following. Jennifer’s is located at 13451 McGregor Boulevard at Cypress Lake Drive (Cypress Square) and is open from 10:00 a.m. until 6:00 p.m. Monday through Friday and 10:00 a.m. until 5:00 p.m. on Saturday. Call (239) 481-8582 or visit Jennifer’s online at jennifersfortmyers.com or at facebook.com/jennifersfortmyers.